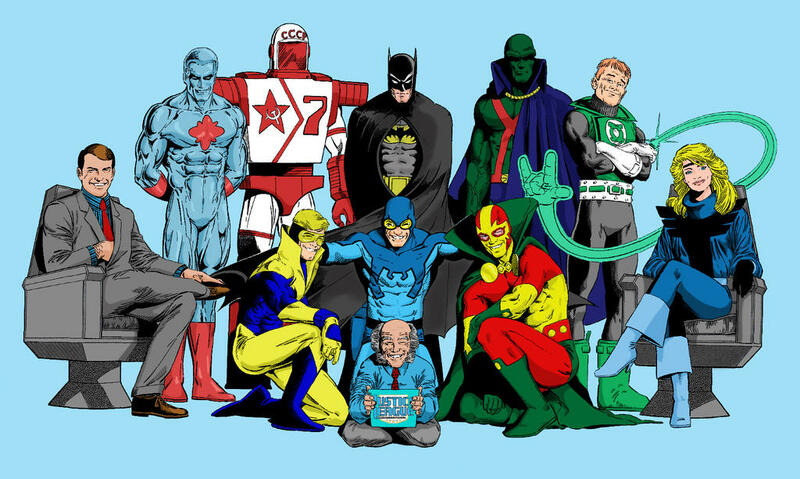 HR Boards • DC COMICS • DC HEROES TEAMS & EVENTS • Best Justice League era? What is your best/favorite Justice League era? Mine is HERE ... no question. Although maybe one question actually ... does this count as an era? I mean this group was on and off so much, maybe I am cheating? Re: Best Justice League era? That's probably my favorite too. But I did love this one HERE. I like that one too, no doubt, although I was sorta off the book by the time Rocket Red (as a member) was a staple. Didn't get into the Europe title that much, and he (or the Rocket Reds in general) were here and there at first, if I recall. Still, man, that was some good stuff in the mid to late 80's. Consistently reading Justice League didn't happen for me until well after Morrison and Waid were done with the title, and I had come into the arc where Plastic Man is the ultimate weapon against White Martians. Joe Kelly stuff! Loved that time. Made me believe in Plastic Man. Seeing Batman and WW try it out together. Then I went back to read all of Morrison and Waid's stuff. Turns out, I love Justice League. I don't know why, over Avengers, that I NEED Justice League to be the company's mainstay book. It has to be the BEST book they have on the stands. But I love both your guys' choices!! I don't know why, over Avengers, that I NEED Justice League to be the company's mainstay book. It has to be the BEST book they have on the stands. Though I would love it if both JLA AND the Avengers were the main/best book from each company as it SHOULD be.